The City of Paramount has received inquiries from residents about a “Proposition 65 Notification” that was sent to a defined area in town in January. This mailing contained a “warning” about the presence of hexavalent chromium near three local businesses – Aerocraft Heat Treating Company, Inc., Carlton Forge Works, and Press Forge Company. The City of Paramount was not a party to the lawsuit, but is providing some background and clarification on aspects of this matter to address any community concerns. The actual lawsuit settlement agreement can be found here. $46,033 to CEH to create a Clean Air Fund that will “educate the public about Hexavalent Chromium” and fund air filters. The City will seek information about the air filter funding and how it might align with the air filter rebate program Paramount currently provides to residents. Entering the area near [facility name and location], can expose you to hexavalent chromium from metal processing. Hexavalent chromium is known to the State of California to cause cancer and birth defects or other reproductive harm. Attached to the Prop 65 letter was a document from OEHHA that includes references to the possibility of children being exposed to hexavalent chromium in polluted soil. In 2017, the City, the State Department of Toxic Substances Control, and the L.A. County Department of Public Health shared that same concern and tested the soil near hexavalent chromium sources. The results found that there was no health risk at that time. For soil test results, please see the link below. The settlement with CEH does not end efforts to address air quality concerns in Paramount. The City continues to support SCAQMD’s ongoing hexavalent chromium monitoring to ensure levels remain within SCAQMD-defined parameters. Thanks to SCAQMD actions, metal-related processing facilities have been making progress in trapping hexavalent chromium emissions within their facilities. In June 2018, SCAQMD reported that the level of hexavalent chromium emissions in Paramount have dropped dramatically. 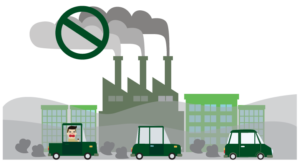 Additionally, the City has strengthened its zoning code for industrial areas relating to overall air quality. Those enhancements will be integrated into the operations of metal-related companies. If you have any questions about this issue, please use our online contact form to communicate with a City representative. What is considered a high level of hexavalent chromium? What is the typical level of hexavalent chromium for our area?